This effect works best if you put on your headphones on. Download and play the Shaking Matchbox mp3. I was home alone and I listened to that post, but I had to stop because it freaked me out! It sounded like someone really was standing behind me shaking a box of matches. I happened on your site (it was on bloggers main page). I’ve bookmarked it and I will definitely come back OFTEN. Thanks! I’ve heard this before, it’s very impressive. They built a microphone which simulates the human head (it looks like one too) and recorded it using this mic. Very clever. Wow, that was amazing! It really makes you want to turn around and find the source of the noise. that was crazy! I couldn’t stop turning around and trying to find the matchbox behind me! DAMMMMMM!! !IM IN CLASS RIGHT NOW AND I FEEL LIKE EVERYONE CAN HEAR IT. CREAPY, I LIKE IT. I know this is old, but me too! Oh, wow. This is the best one by far. Great site! Keep them coming! dude, please add more audio illusions man !!! The matchbox was awesome and the door at end freaked me out(i was home alone)GET MORE AUDIOS!! this is like the newer version of the abraham lincoln show at disnyland. you put on the headphones and the guy cuts your hare and stuff. Yall MUST do the virtual haircut, close your eyes. Its FANTASTIC!!!! Hi everyone. The argentinian Hugo Zucarelli is the holophony inventor. He worked in Pink Floyd´s “Final Cut” album and some Roger Waters solo album. Also worked with Michael Jackson and Stevie Wonder. Dude, that is friggin creepy!! that scared me So damn much when i 1st listend, i have the volume CRANKED and it was freaky! wow!!!! amazing!!!! how do people do this!?!? dude, that is not cool to listen to when its 2 in the morn. and no one else is up… and i live in the country surrounded by woods.. I kept turning around lol! Excellent holophonic illusion. It’s like I was in the same room with a pyromaniac, and I was the victim! Awesome! ok…. big fan of this site, seen a lot of things I really liked. but this was the first time I actaully found an illusion worth commenting on…. this was one of the most creepy things I have ever experienced… I kept looking over my shoulder expecting to see the matchbox… great stuff… keep up the good work work with the site! its not letting me hear anything. I’m clicking play and nothing happens and it also won’t let me download it either. I tried it with and without headphone because first I couldn’t find my headphones (again), but even without you can clearly hear it going round! what was it supposed to do? cause it hurt my ear. when the match lights i first feal like i could smell it burning! OMG INVISIBLE MATCHBOX MAKE IT STOP!!!! OMFG EVERYONE KEEPS SAYING ITS SCARY SO RIGHT NOW IIM HOME ALONE AND IM TOO SCARED TO DO THEM!!!! that freaked me out.that is so realistic. That was so AWESOME! And realistic! I actually thought that someone was behind me shaking a box of matches because I was the only one home at the time. But WOW! omg! that was pretty cool. totally freaked me out though. thats scary how realistic it is. it makes you think its like right in your face. It is so scary. Not AAAH! scary. More like. Whoa! I- Uh- What’s happening scary. To sum it up, if it’s dark, you are alone, and your back is facing the room, you nearly pee your pants. I tried it, it was awesome.SOO realistic, so you probably get big bucks for that.Congrats! Finnally people made somthing that other people enjoy!!!!! No way that is so realistic! I’m at work, and this is keeping me awake, better than coffee. Try virtual barbershop it’s freaking scary! It’s disturbing… very well done at the same time, but not as good as the barber. This is fairly cool, especially when you have over-the-ear headphones on that block out most of the surrounding sounds/noise. Would’ve been cooler if they had gone in front of the mic(s) to add more depth. Ohmigawd that was scary! 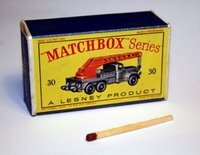 I could feel the matchbox practically crawling down my back! Known as “dummy head” stereo. Microphones are, literally placed in the ear canal of a detailed model of a head and the recording made. That’s why you only get the full effect from headphones. I have a demo. recording of someone walking around a room with lively acoustics, coming up close and whispering in one ear. Uncanny but the technique never seemed to catch on for music recordings. When the match shaker was on my left side of my ear, i turned to my left and i thought i saw a box of match. Great effects and great acoustics. You can actually visualize what you are hearing. Could only listen once it sooooo freaked me out! Great job! well I failed to listen to the whole audio file until I tried for the fourth time. It was creepy. I still don’t believe I heard what I just heard. The effect is even worse when you close your eyes.